Photo: The Office of the President of Ukraine. Ukraine’s president Petro Poroschenko has said the opening of the 1.8km double-track Beskyd rail tunnel will bring Ukraine closer to the European Union (EU). 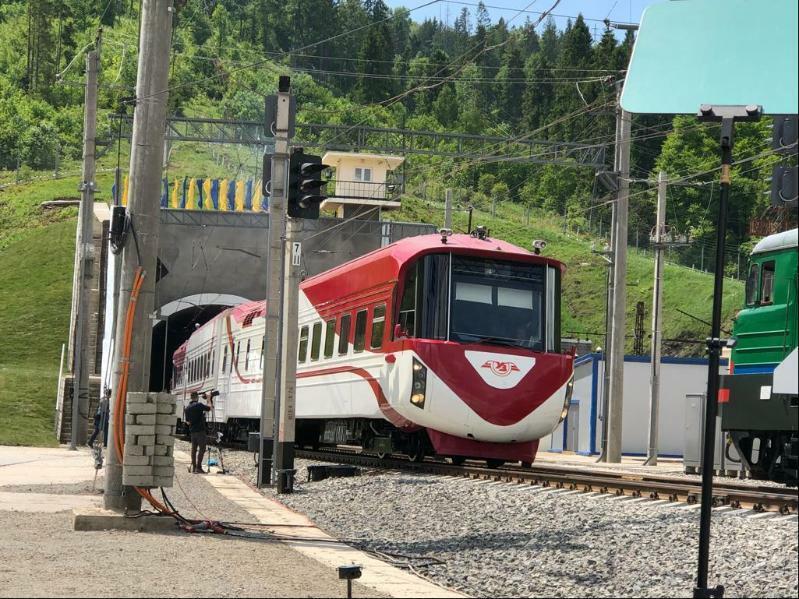 The tunnel crosses the Carpathian Mountains between the Beskid mountain range and the town of Skotarske and connects the Ukrainian network to the pan-European transport network Corridor V, which will stretch from Venice/Trieste in northern Italy via Slovenia and Hungary to Lviv, western Ukraine. 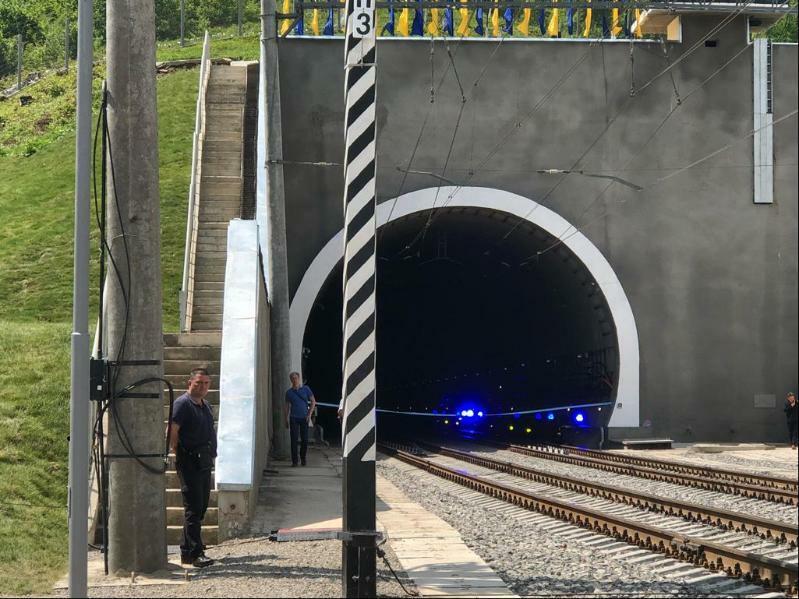 Beskyd rail tunnel replaces a 130-year-old single-track rail tunnel that was the only single-track section of the line on an otherwise twin-track electrified corridor between Lviv and the Hungarian and Slovak borders. ERBD provided a $40 million loan for the project. The European Investment Bank assisted with a $55 million loan and technical assistance was provided by the EU and Austria as well. 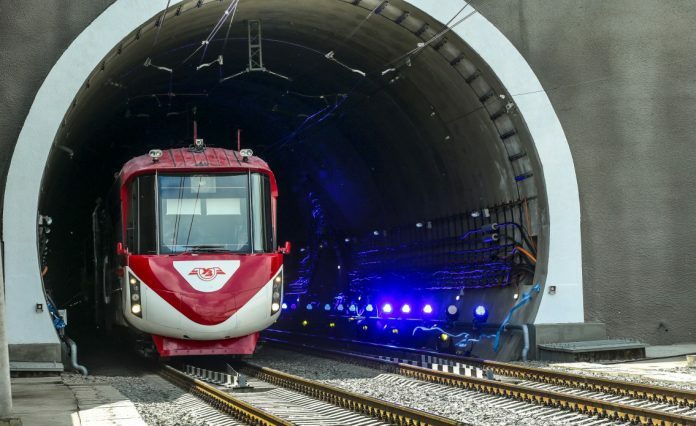 According to ERBD, the new tunnel will take on up to 60 per cent of rail traffic between Ukraine and the EU. Opening the new tunnel, president Petro Poroschenko described it as the largest infrastructure project implemented in Ukraine over the past decade. He added: “It is important for Ukraine and its economy, because it improves conditions for our exports to Europe, the volume and share of which is increasing substantially due to the Association Agreement. Around 130,000 tonnes of concrete and 8,000 tonnes of steel were used to construct the tunnel, which is 1,765m long, 10.5m high and 8.5m wide. Plans for the tunnel were initiated some 20 years ago but work only began in 2014. I travelled on the old route between Volovets and Slavske in 2000. Given the steep incline, it was necessary to attach locomotives to the rear of the 17 coach trains to provide pushing power on the way up, and additional braking power on the way back down. The tunnel was lit by oil lamps at the time. Ukrainian Railways, like Ukraine itself, are a mostly undiscovered marvel. Impressively cheap and speedy by Network Rail standards!